It used to be, way back in the twentieth century, that a literary author would make a name by first publishing a small collection of short stories, most of them appearing in those tiny circulation quarterlies that dotted the landscape, attached to every Liberal Arts College in the Land. Sometimes, a slender volume of verse would appear first. Some fifty people would review the first book, maybe thirty of them having read it, and unless it was bad, the author was on the way up. That was before the current Age of Over-Information that we (so ambiguously) enjoy. Nowadays a confessional memoir or slam-bang novel is almost de rigeur for that path: something big, bad, and, as Jean Cocteau said, something to astonish us. 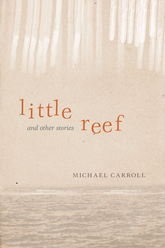 So it’s kinda cute that author Michael Carroll starts off his own literary career with a collection of stories, and that a handful of them, from the first half of the book actually, were printed in some of those quarterlies either still generously endowed or barely holding on by their fingernails. This collection is in two parts: “After Dallas,” and “After Memphis,” and these tales are not divided by place or time as much as they are by ambition, scope, style and yes, even by content. The early six stories are almost what any self respecting Brooklyn, New York authoress might write and savor. They’re a little autobiographical, a little earnest, a little sly and funny, and filled with the required shrug-of-the-shoulders attitude and put-on jaded and/or over-medicated aura that today passes for contemporary fiction. 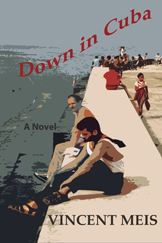 But they’re also well-written, easy to take, sharply observed, and most of the characters–including the narrators–get little sympathy and even take a few well rendered beatings on several levels simultaneously. To our pleasure, I have to admit. Especially the two young male/female couples in “The Biographers” and the crusty old gent, widower of the dead writer they’re nattering on about. The one piece that breaks the mold and ends up being quite moving is “Werewolf,” about a straight childhood friend, and the gay male narrator’s relationship with him over the years. It’s a carefully composed piece, with not a comma out of place and, therefore, an utterly credible and creditable narration. Then we arrive at Part Two, and it’s altogether something different. Knowing Michael a little and his partner a great deal better (or at least longer) this reviewer couldn’t help but think the aging author being cared for by the callow narrator of the five later, longer pieces are strongly based on them; and so a kind of queasiness or giddiness set in, making this a post Robert Gluck meta-fiction in which who knows what to believe, really. Yet these are by far the more interesting set of fictions: first, because of the easy going, almost rambling style which fingers the reader as surely as did Coleridge telling about that crazed sailor, and second,because you probably think you know who those major and minor characters –the latter mostly sketched in– are or can shrewdly guess who they might be, narrowing it down to one or two. And third because it seems so intimate and confiding, just like well, Pip or Holden or Nick Carraway, that you’re seduced pretty thoroughly. Is that irony? Is that affection twisted somehow? What gives? 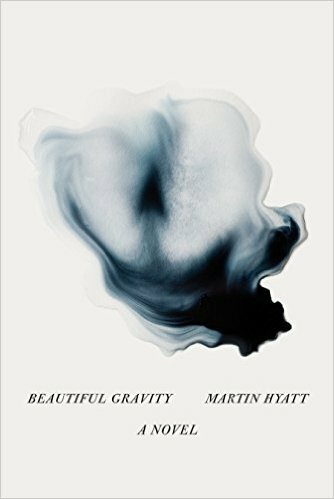 His and the narrator’s story takes place alongside that of Faith as though they were meant to play off each other, or make each other resonate, but that didn’t happen for this reviewer. One area is simply more interesting than the other, and because any emotion possible is held over the fire so long, it’s unclear what we are supposed to feel and for whom exactly. But … having written that, any story or stories that make me actually think about them that much are certainly worth my time. And all of these stories are. I think Carroll has opened out a space if not yet a landscape for himself, and he has done so with believable dialogue, intriguing characters, and situations that feel free to promise future benefits if not exactly future revelations. Give it a try.